Pediatrics is the care and treatment of the diseases and the study of normal growth of infants, children, and adolescents. At Optimum Wellness we've been taking care of our patients from birth forward. We also monitor the normal growth and development of a child according to important motor and intellectual milestones. Recognition of developmental lags may point to lack of proper nutrition, poisoning with environmental substances such as lead. 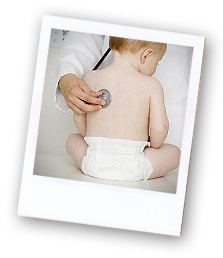 In addition, pediatricians must be alert for disorders that usually first become apparent in childhood.